There are plenty of things that we like from rail journeys like the motion; the excitement, the chance to read, to chat. Ironically, although they involve motion; we also like the fact that trains offer a welcome chance to stop, a chance to sit and stare, to admire an endlessly changing, endlessly fascinating panoply of people and places. Or, simply, the chance to daydream. 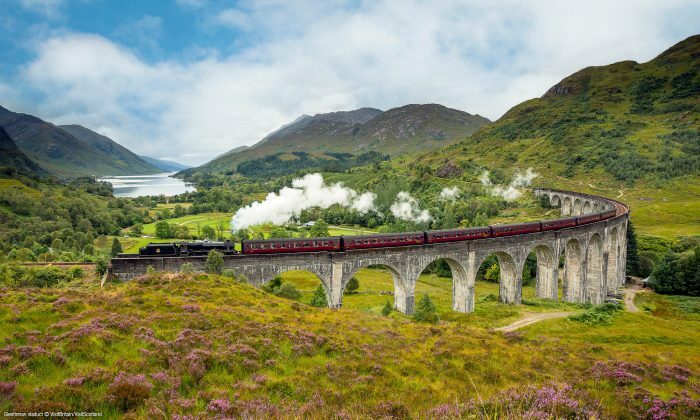 So, we prepare for you a list with the most beautiful rail journeys. The popularity of the Caledonian Sleeper linking London Euston with Glasgow, Edinburgh, Fort William, Inverness and Aberdeen has grown to such an extent that its new operator is introducing a new fleet of 75 coaches in 2018. For the first time, passengers will be able to have an en suite shower room as part of four types of accommodation to enjoy one of the most beautiful rail journeys.